The PMI team had a busy August having attended the ONS 2018 Conference in Stavanger, Norway. The conference not only provided a chance to connect with industry professionals, government officials, and catch up with clients, but also to learn more about what’s shaking up the market. Cost reduction through innovation was a common theme throughout the conference. 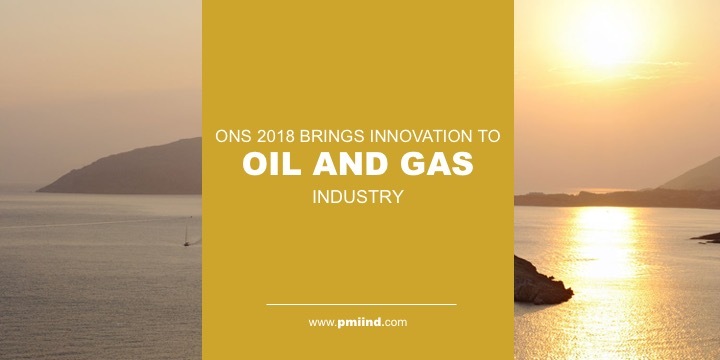 More technological breakthroughs and policies are changing, providing the momentum oil and gas (O&G) industries need to continue to grow, evolve, and stay relevant. A number of ONS attendees were exhibiting alternative forms of energy including wind and wave. One of the hottest topics of conversation was Equinor’s proposed plans to build the Hywind Tampen floating wind park. This park plans to reduce carbon emissions on Equinor’s oil and gas platforms. This kind of project displays some of the innovative ways the oil and gas industry is working to incorporate wind — especially floating wind projects — as a form of energy for offshore platforms. Offshore wind farms in the North Sea may be seeing more floating wind projects in their future. A lot of discussions were also centered on O&G market conditions as the renewable fuel industries are now some of the fastest growing sectors. From our perspective, the majority of attendees felt there was a slight uptick in the market, but others had a more reserved outlook. In addition, several seismic companies indicated an increase in activity, while other companies mentioned rounds of layoffs. It may be too soon to tell the ultimate trajectory of these markets, but we’re enlivened to see companies with new forms of energy coming to the table with creative solutions to today’s energy challenges. PMI has been a key supplier for many companies within the oil and gas market, for nearly half a century. We offer full-service engineering from concept to production and provide cable protection and management systems for oil and gas and renewable energy projects. While some other suppliers have closed doors, PMI has weathered the swings in market conditions by providing quality cable protection and terminations for our clients’ most demanding applications. This quality is what continues to set us apart from other suppliers. PMI also stands alone in our low-hassle, no-tools-required cable protection assembly systems. Whereas other products, such as terminations, may require up to 12 hours to cure, PMI’s terminations can be completely assembled and ready to go in just 30 minutes. Our experience working with projects across all sectors — oil and gas, wind, and wave energy — allows PMI to be an invaluable resource to our clients in all stages of their project development. In a world of tight timelines and budgets, PMI strives to create the cable protection systems that can remove the headaches and wasted time and energy so engineers can focus on their biggest project goals — not get caught up in cable complications. After all, about 80% of all project disruptions come from cable failures. We’re always excited to attend ONS and it was a great opportunity to connect with some of our current clients and leaders from around the world. (PMI’s team even had the opportunity to meet with the U.S. Ambassador to Norway and mayors of Stavanger Bergen!). We look forward to seeing even more of our clients and connecting with leading industry professionals at several more of this year’s upcoming conferences.